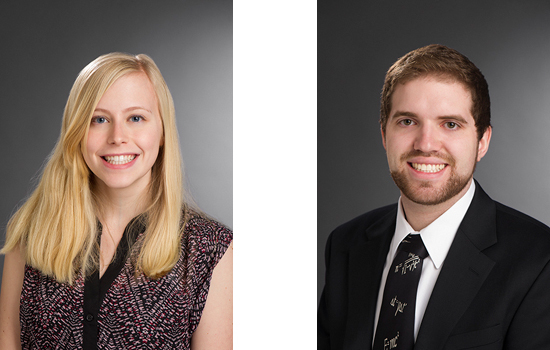 Four undergraduate students at Rochester Institute of Technology have won awards from the Barry M. Goldwater Scholarship and Excellence in Education Program. 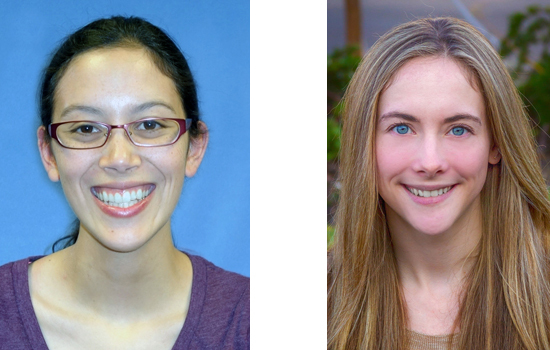 Elizabeth Bondi, Selene Chew, Tyler Godat and Emily Holz will each receive $7,500 for the 2015–2016 academic year. They were among the 260 award winners chosen from 1,206 nominees. The Goldwater Scholarship is based on academic merit and regarded as one of the most prestigious undergraduate honors. It is awarded to students committed to pursuing careers in mathematics, the natural sciences or engineering. Bondi, from Dansville, N.Y., is a third-year student in imaging science at RIT’s Chester F. Carlson Center for Imaging Science and a member of the RIT Honors Program. She works with Roger Easton, professor in RIT’s Center for Imaging Science, to recover erased and overwritten text in historical documents using image-processing techniques. She automated a processing technique that was applied to the Codex Vercellensis, one of the earliest manuscript translations of the Gospels from Greek to Latin from the 4th century C.E. Bondi is currently working on the 15th century Martellus World Map. She has twice presented her research at the RIT Summer Undergraduate Research Symposium. Bondi also completed a co-op at NASA’s Jet Propulsion Laboratory. She worked on the team that will determine a landing site for the Mars 2020 rover. In addition to the RIT Honors Program, Bondi is a member of the National Society of Leadership and Success, the Imaging Science Club and the Optical Society of America Student Chapter. Bondi plans to pursue a Ph.D. in imaging science or computer vision, with the goal of conducting research in computer vision and teaching at the university level. Chew, a resident of Ithaca, N.Y., is a third-year student in the computational mathematics program in RIT’s School of Mathematical Sciences, a member of the RIT Honors Program and a board member of PiRIT, the RIT Association of Student Mathematicians and Statisticians. She plans to pursue a Ph.D. in applied mathematics and to work on computer vision research questions in industry. Chew and her mentor, Nathan Cahill, professor in the RIT School of Mathematical Sciences, explore techniques for improving algorithms that cluster similar points and classify regions of hyperspectral imagery. She received an RIT Summer Undergraduate Research Fellowship last year and presented at the university’s annual Undergraduate Research Symposium. Last June, Chew presented a poster with Cahill at her first international conference, the IEEE Workshop on Hyperspectral Image and Signal Processing: Evolution in Remote Sensing, or WHISPERS, in Lausanne, Switzerland. Chew has spent her spring semester abroad through the Budapest Semesters in Mathematics in Budapest, Hungary. She studied number theory, abstract algebra, and hypergraph theory/combinatorics, as well as the Hungarian language and Hungarian math education. Godat, from Greensboro, N.C., is a third-year student and double major in physics and applied mathematics in RIT’s College of Science. For nearly three years, Godat has explored theoretical research in the field of cavity optomechanics with his mentors, Mishkat Bhattacharya, assistant professor in RIT’s School of Physics and Astronomy, and postdoctoral researcher Brandon Rodenberg. Godat is a member of RIT UNICEF and the Society of Physics Students at RIT. He plans to pursue a Ph.D. in physics. Holz, a resident of Cottage Grove, Minn., is a fourth-year student in the biomedical engineering program in RIT’s Kate Gleason College of Engineering. She has enjoyed a variety of undergraduate research experiences through RIT’s co-op program. She worked with Kara Maki, assistant professor in RIT’s School of Mathematical Sciences, modeling the settling dynamics of a contact lens on the eye, a topic of interest to Bausch & Lomb. Following her research on contact lenses with Maki, Holz spent two summers at the National Institute of Standards and Technology. Her research focused on finding less expensive methods to fabricate multispectral MRI contrast agents developed by her research group. While on another co-op at LSI Solutions, Holz worked on laparoscopic cardiac surgical devices. When not on co-op, she is secretary for the Tau Beta Pi Engineering Honors Society and climbs for the RIT rock climbing team. Holz hopes to pursue a Ph.D. in targeted drug delivery.